Bike repairs on Maui are easy with Atomic Bike Repairs and bike parts from West Maui Cycles in Lahaina. Bikemate bike ride app keeps track of Maui bike rides and more. Track your Maui bike rides with the Strava bike app. Maui offers bike rides to challenge the most advanced rider and for those who just want an alternative to renting a car on Maui. Use our online bike rental reservations system to rent a cruiser for exploring Lahaina town or Kehei from the seat of your bike. Our Electra cruiser rentals are very popular! When you visit West Maui Cycles in Lahaina to rent a bike on Maui or to checkout our latest Maui bike gear, we'll share advice about Maui bike rides or review rides you have planned. We’ll also recommend other rides that may interest you. Our Maui bike shop includes the largest selection of bike parts on Maui. If you need Maui bike parts to make a bike repair, you'll find the bicycle parts in Lahaina! We'd like to hear how you plan your bicycle vacations. 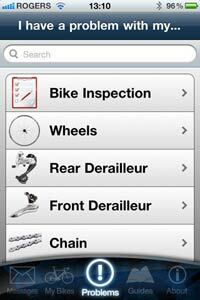 Do you keep track of your bike rides? Please use the comments secton below to tell us if you share your favorite Maui bike rides so others visiting will be able to find rides matching their preferences? Do you map your bike rides at home and share ride information? Do you include enough notes so readers understand if the ride will be more than they want to undertake during their Maui bike vacation? Let us know in the comments area below. Many of the apps on the market include automated tracking of altitude or elevation and include GPS mapping integration. Some keep track of your heart and breathing rates or calorie intake/burn details. Perfect to monitor yourself during the climb on a Haleakala bike ride or the high speed coast down to sea level!